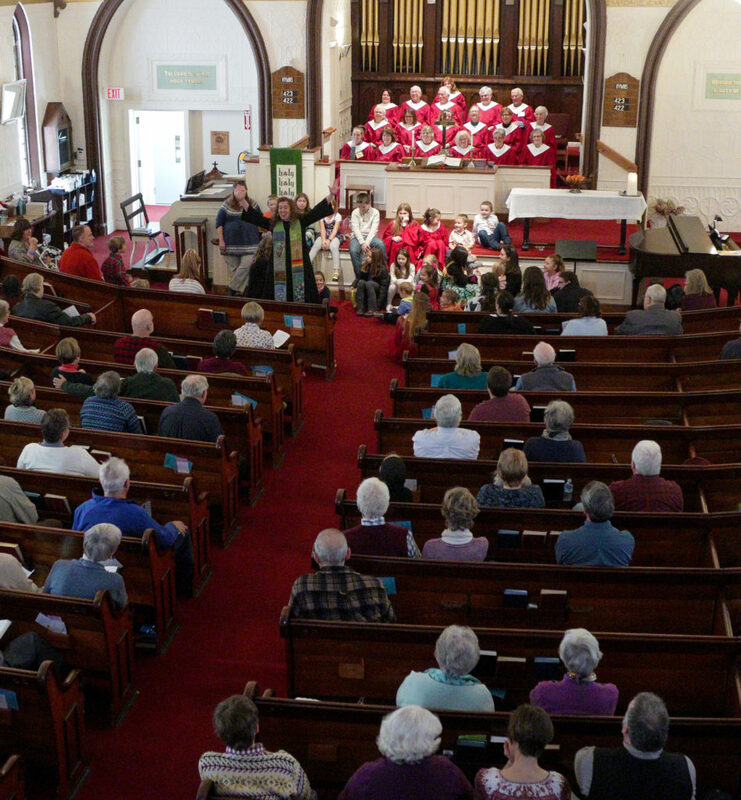 Worship takes place at 10:00 a.m.
Worship takes place at at 9:00 a.m.
Sunday School for children in preschool through middle school meets during the service (after children’s time) on every Sunday except the First Sunday of the month when we worship and share Holy Communion as a whole church family. Childcare for little ones up to age 3 is always available. Click here for additional information on our Children and Youth Ministries. Worship is usually just over an hour, and is followed by coffee hour in fellowship hall. On the first Sunday of each month, we share a casual potluck meal together after worship together – we have some excellent cooks in the congregation, and there’s always lots of food, so please come whether or not you bring a dish! Learn more about our inspired celebrations: worship and wonder! 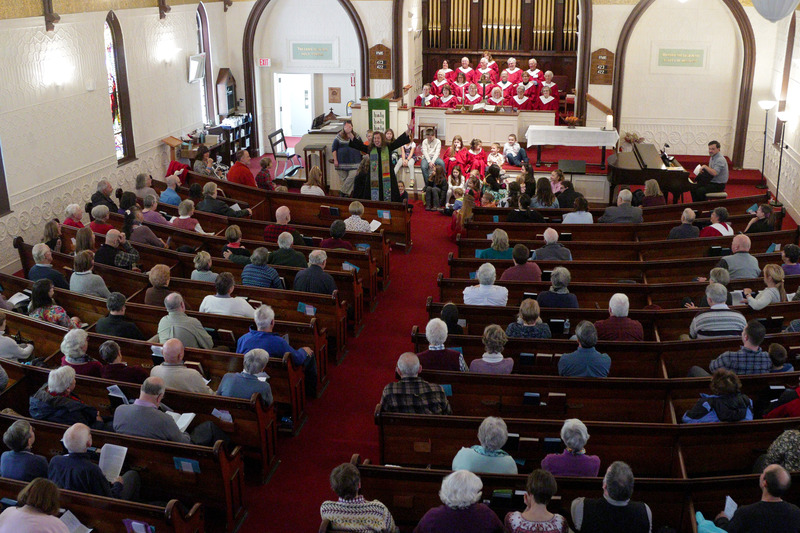 First Congregational Church is located at 33 South High Street, Bridgton, Maine – head up the hill past the monument, and we’re on the right. Parking is available behind the church. Whoever you are, wherever you are on life’s journey, you are always welcome here! Check out our staff bios here! For more information, please call the church office: 647-3936. Office hours are Monday-Friday, 9 am to 12 pm. For more contact details, consult our Contact Us page.